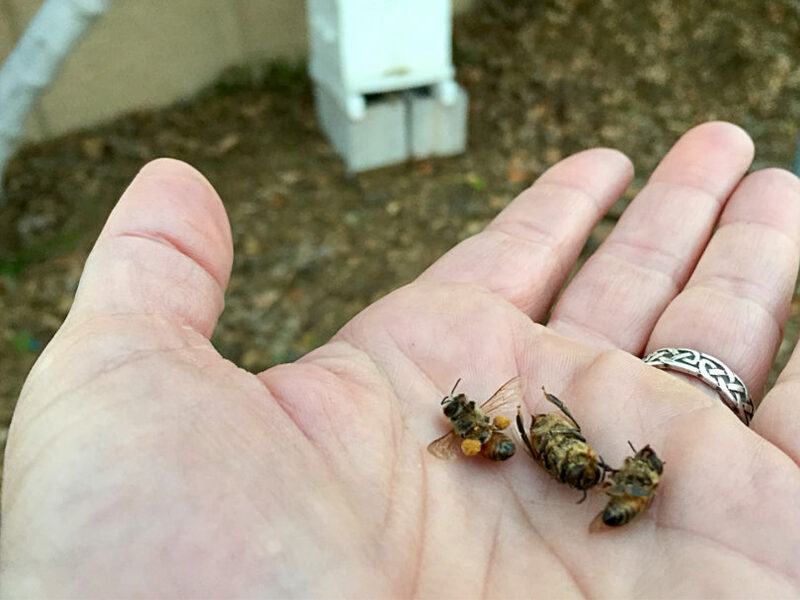 Sometimes it takes personal experience to make you realize the impact of certain behaviors, like how the day to day use of pesticides in my neighborhood may harm the bees in my care. 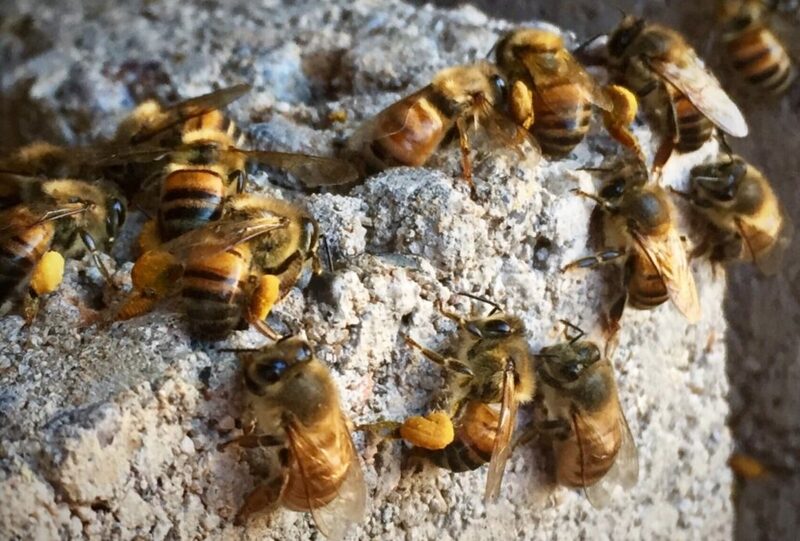 When I begin seeing lots of bees lying dead in front of their hive, with pollen sacks full, or bees wandering aimlessly on the sidewalk, I have to consider that they may have been poisoned by pesticides. 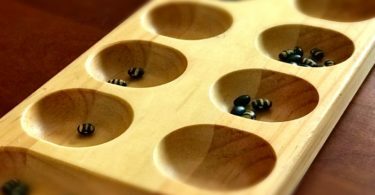 Of course, a bee’s lifespan is rather short, and having a hive of thousands of bees, it makes sense that I see more dead bees than the average person. 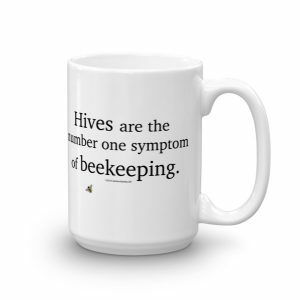 As beekeepers, our job is to observe and learn the pattern of life for our bees. That way when something unusual occurs, like a greater than an average number of dead bees, it gives us a warning that something isn’t right. Living in Phoenix, Arizona, one of the things you notice in the background of your traveling through the neighborhoods is the broad use of pesticides. Our yards are often pristine with landscape rock with perfectly placed plants. When a weed pops up, the spray goes down. And those in agricultural areas have to deal with large-scale applications of pesticides as well. 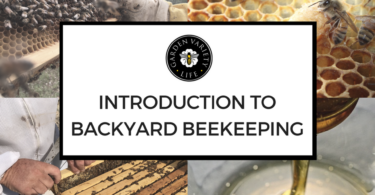 These are things that beekeepers and garden owners alike need to be aware of. There are wonderful groups and agricultural agencies who have done a great deal of research on how to either eliminate the use of pesticides or at the very least, provide the best application strategies to lessen their impact on bees and other beneficial pollinators. One such group is Xerces. They have fantastic publications available for your use. Our own Maricopa County Extension Office along with County Extension Offices throughout the country offer excellent resources for their specific regions. I’ve researched several of these publications and others to both help us understand the gravity of our pesticide use as well as to highlight how pesticide use in every garden impacts bees kept in backyards, orchards, and farms. Direct contact while foraging on flowers for nectar and pollen. Residue contact when visiting flowers, walking on treated leaves, or gathering contaminated nectar and pollen. Pollen and nectar contaminated by systemic insecticides applied as seed coatings, soil drenches, trunk injections, or foliar sprays. (Rortais et al. 2005, Hogwood et al. 2012). These insecticides include the neonicotinoid class of chemicals (e.g., imidacloprid, clothianidin, thiamethoxam, and others) and some organo-phosphates (e.g., acephate, methyl parathion, and coumaphos), are translocated within the tissue of the plant, and are present in the nectar and pollen. See this article on neonicotinoids. 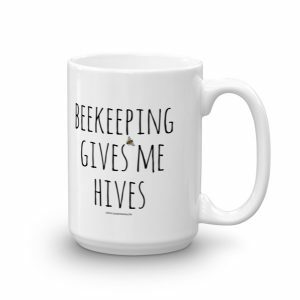 Contaminated water that bees collect from plants and standing water to use to for themselves as well as to cool their hives and dilute honey for feeding their young. Pesticides can contaminate this water through adhering to dust, from runoff or drift. Contaminated dust near agricultural areas. Dust from pesticide seed coatings during planting can carry pesticides onto nearby plants. Finely powdered pesticides can cling to bees like pollen, and remain toxic longer than liquid formulations. So what about the Bugs & Weeds? Establish an economic threshold of how much damage is tolerable before pest control must occur. Control pests with the most accurate pest control option when the preestablished damage threshold is reached. If you have dirt, you have weeds. That’s life. It’s pretty resourceful, but not always beautiful. 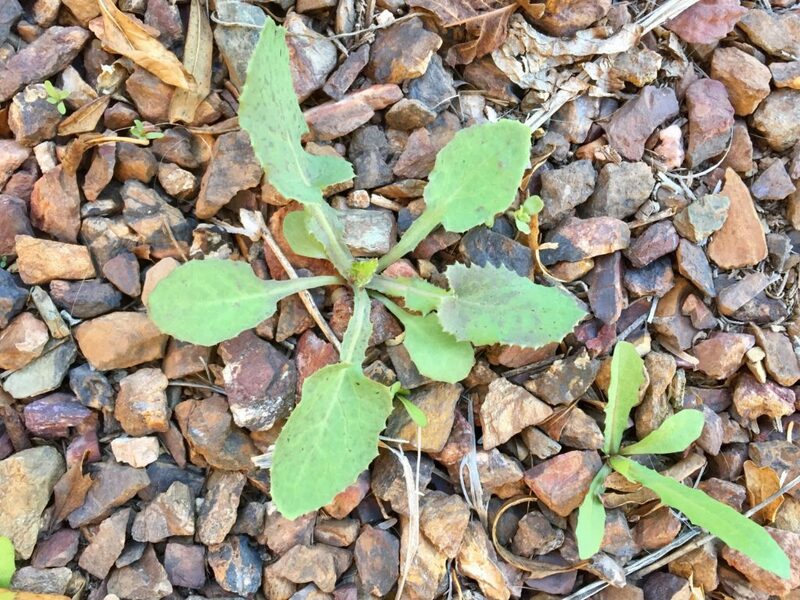 For the weeds you can’t live with you have options other than chemical. Pull or dig them when they are small before they flower. Use special tools for weeding. There are many made for specific kinds of weeds. Just look on Amazon for weed removal tools. I love the hulu hoe if you are weeding in rock. Determine if planned pesticide applications are toxic to bees. 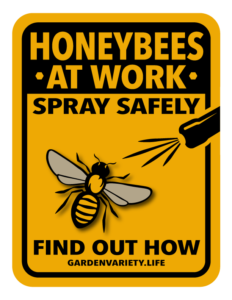 Look for bee toxicity warnings on the pesticide label, and read extension publications. 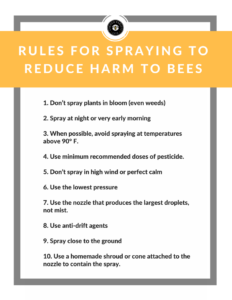 Specific precautionary statements designed to protect bees can be found in the Environmental Hazards section of the pesticide label. 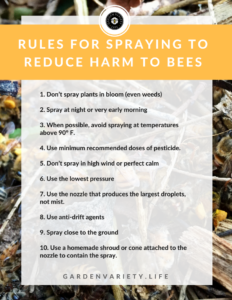 Key words to look for include “highly toxic to bees,” “toxic to bees,” and “residues.” Here is a list of chemicals to look for. Be aware of Pesticide Drift. According to this UofA Publication, pesticide drift is the movement of airborne spray droplets, vapors, or dust particles away from a target area. Pesticide drift can be difficult to manage because the full range of drift cannot be detected visually. Small spray droplets are carried by the wind and may travel miles before being deposited. Smaller airborne droplets can also evaporate into the atmosphere and travel for great distances. Also, highly volatile pesticides can move as invisible vapor in the air, with volatilization sometimes occurring even days after application. Organic pesticides like Pyrethrin and Spinosad are also toxic to bees. Don’t spray plants in bloom (even weeds). Spray at night or very early morning. 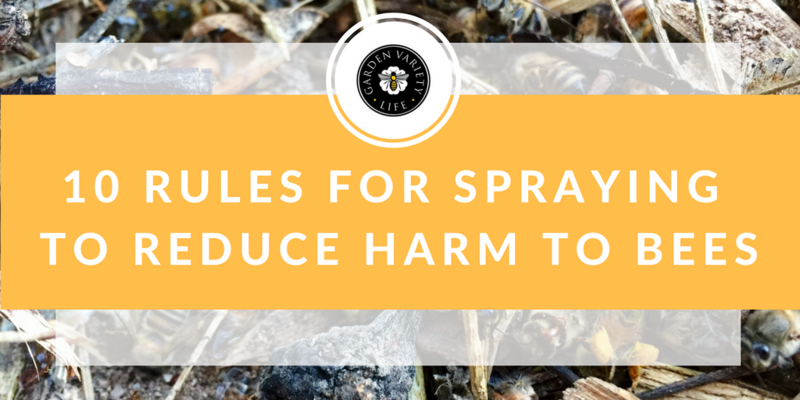 When possible, avoid spraying at temperatures above 90° F.
Use minimum recommended doses of pesticide. Don’t spray in high wind or perfect calm. Use the nozzle that produces the largest droplets, not mist. Spray close to the ground. Use a homemade shroud or cone attached to the nozzle to contain spray. If a honey bee colony has lost many of its foragers but has sufficient brood and adequate stores of uncontaminated pollen and honey, it may recover without any intervention. Move bees to a pesticide-free foraging area if available. If adequate forage is unavailable, feed them with sugar syrup and pollen substitute, and provide clean water to aid their recovery. Protect them from extreme heat and cold, and, if needed, combine weak colonies. If the pesticide has accumulated within pollen or nectar stores, brood and workers may continue to die until the colony is finally lost. 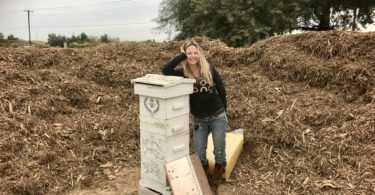 Many pesticides readily transfer into beeswax, and you may consider replacing the comb with new foundation, drawn comb from unaffected colonies, or shaking the bees into a new hive and destroying the old comb and woodenware. 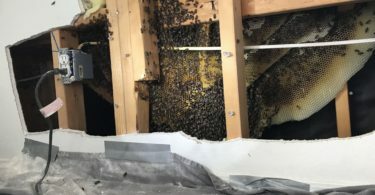 Replacing brood comb on a regular schedule (typically 3 to 5 years) may prevent accumulation of pesticides to devastating levels in brood comb wax. Please click on the following posters to print and share. My daughter and I were drawing pictures on our driveway this week and found three bees. One dead, one dying and one crash-landed and couldn’t recover. We both were so sad to see this and knew it had to be from pesticides. This post couldn’t have come at a more perfect time for us. Thanks again for another informative and important post. Michelle, I’m glad this was timely for you. It is really sad to see bees damaged by pesticides. Until I had done the research for this post I didn’t realize how far pesticides like weed spray can actually travel through the air and still be effective. It’s maddening when I see city workers spraying the entire ground with the stuff. Unfortunately our rock landscapes only look nice when there aren’t weeds. 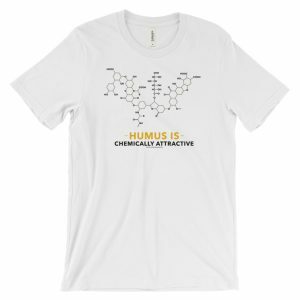 It’s good to find non-chemical ways of dealing with them. Hulu hoes are great and you only have to use them a couple times a year.